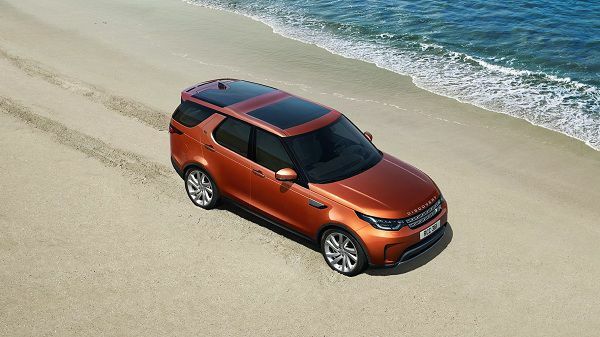 The 2017 Land Rover Discovery is amongst the finest off road adventure vehicles and it is available in the UAE with its five trim levels that include S, SE, HSE, HSE Luxury and First Edition. 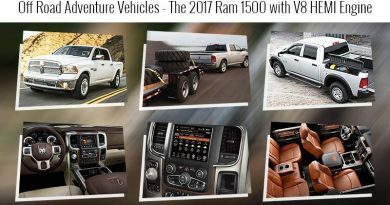 All of the trim levels are luxuriously designed and the use of high quality materials for interior and exterior adds to the luxury appeal of the vehicle. Other than an exquisite design, this stunning SUV has also been fitted with powerful engine options that deliver an enhanced performance regardless of driving conditions. The design of this lavish SUV is simply magnificent as Land Rover promises to deliver the occupants a comfortable journey both on and off the road. Here is the review of one of the most state-of-the-art off road adventure vehicles. The 2017 Land Rover Discovery is among the best adventure vehicles, thanks to its fabulous design. It has a stylish exterior and marvelous interior that make for a luxurious and comfortable ride together. The exterior of one of the best when we talk about the exterior design of 4×4 adventure vehicles. The structure of this vehicle is made of state-of-the-art aluminum monocoque body that lightens the weight of the vehicle up to 480KG. It has a unicolor body design and the look of this vehicle is impressive as it has sleek lines and smooth curves, which make this vehicle look attractive. The length of this SUV is 4970mm, its height is 1888mm and the width of this vehicle is 2220mm. 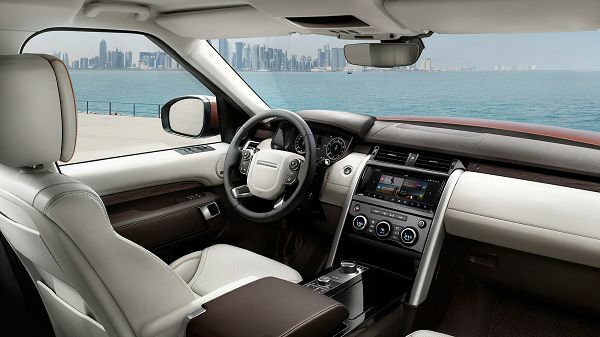 It has a signature Land Rover grille that provides it a magnificent look. The LED headlights, tail lights, and fog lights are the part of this luxurious premium compact SUV that helps the driver to see clearly on the road at night. The windows of this SUV are equipped with light tinted glass that saves the occupants from direct exposure to sunlight. It also enhances the beauty of this premium compact SUV and makes it look lavish. 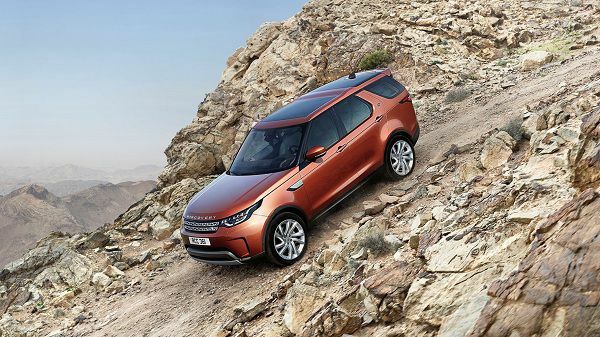 The 2017 Land Rover Discovery is a 4×4 vehicle that delivers a strong grip on hills due to its Hill Descent Control. Another highlight of the exterior is the reliable quality of the tyres that provide a strong grip and promise a trouble-free ride. Land Rover provides an option of various sizes of wheels starting from 19-inch to 22-inch. You can also choose the wheels of various designs that include silver, diamond turned, dark sating grey and gloss black. Land Rover has claimed that these tyres are designed to make the vehicle stand out from the crowd with a commanding exterior appeal. 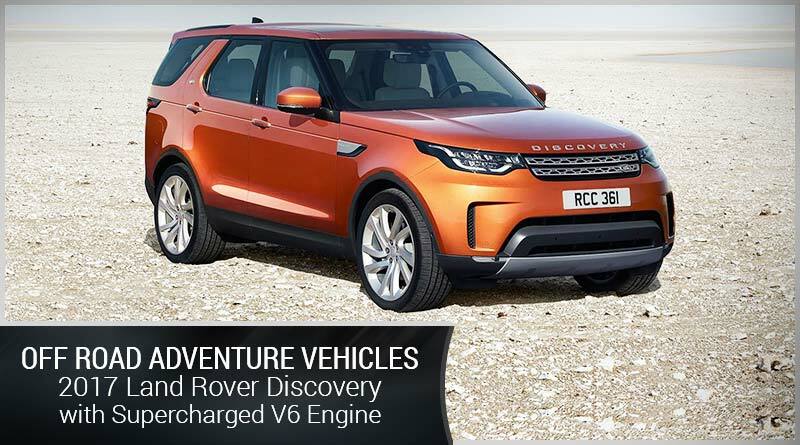 The off road adventure vehicles include the name of 2017 Land Rover Discovery as it has a stunning design. Land Rover has used the best and finest materials in this premium midsize SUV that ensure a comfortable journey for its occupants. 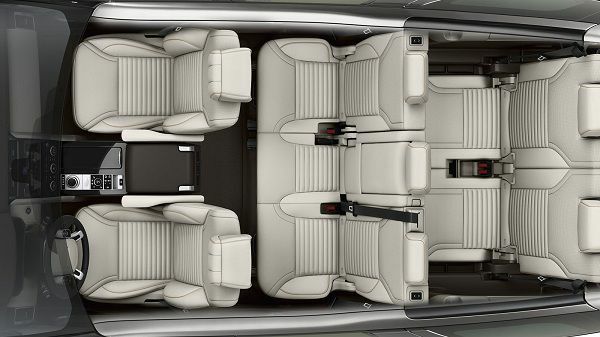 Land Rover provides 7 seats in the vehicle and all of these seats are wrapped in leather, which makes it a perfect luxury vehicle in true sense. 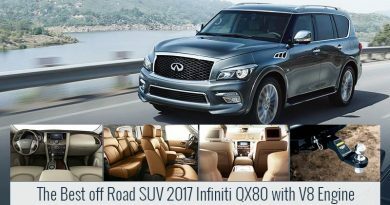 The optional feature of this luxurious SUV is the versatile heating and cooling function that allows the occupants to maintain comfortable in-cabin temperature according to the weather conditions. The driver and front passenger seats are 12-way powered with memory system and it has 2-way powered passenger and lumbar support. The rear seats of this vehicle are powered with folding system that offers the occupants an excessive amount of cargo space. The cargo space offered by this vehicle is 258-litres and with all folded rear seats, this SUV provides a cargo space of 2,406 litres. On the other hand, the towing capacity of this vehicle is 3,500kg which is a testament of the adventurous appeal of the vehicle. The maximum wading depth of this vehicle is 900mm. 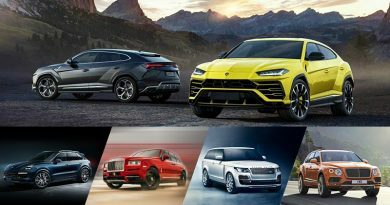 Some other significant features of this SUV include an activity key and a waterproof wristband that allows you to skydive or sail without being worried about the keys of the car. The power gesture tailgate allows you to open the tailgate without using keys. It is powered by a kicking gesture under the sensor on the tailgate that makes it easier for you to open the tailgate with hands full. The steering wheel of this SUV is wrapped with leather that provides the driver a strong grip on it and it is also featured with Cruise Control System and Audio Control System. Land Rover provides an option of two sunroofs for both front and rear passengers that enhances its beauty. It makes the vehicle look amazing and offers the occupants to enjoy the natural weather and beauty. The 2017 Land Rover Discovery is among the famous 4×4 adventure vehicles as it provides an amazing performance on and off the road. It has a 3.0-litre supercharged 6-Cylinder petrol engine that is able to produce 340 horsepower and 450Nm of torque. It has ZF 8-speed automatic transmission and the fuel tank capacity of this vehicle is approximately 23.5 gallons. The maximum speed of this vehicle is 215 Km/h and it accelerates 0-100 Km/h in just 7.1 seconds. The estimated fuel efficiency of this vehicle is 16mpg in the city, 21mpg on the highway and 18mpg combined. 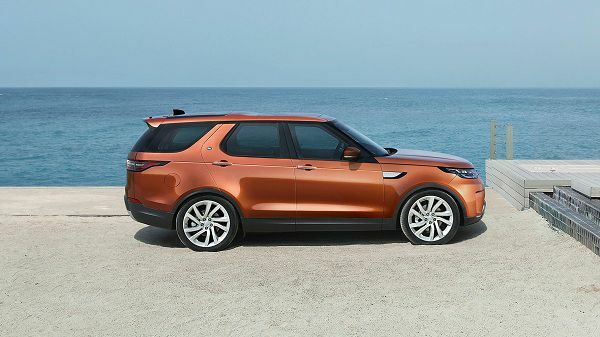 The 2017 Land Rover Discovery is available in the UAE with its five trim levels that include S, SE, HSE, HSE Luxury and First Edition. 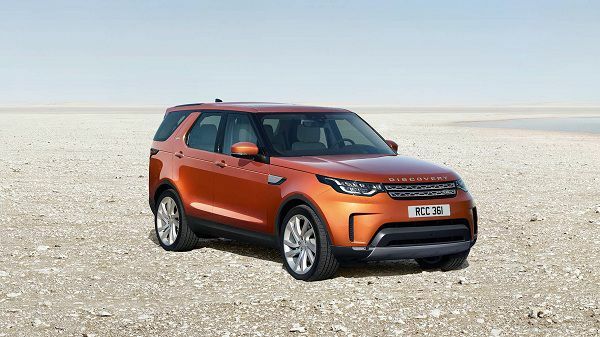 The price of 2017 Land Rover Discovery, one of the best off road adventure vehicles, in the UAE starts from AED 237,200 for its base model and it can go up to AED 326,000 for the most high-end variant.